The Baltimore Brass is Maryland's most requested talent for wedding ceremonies, cocktail hours, church services, concerts, graduation or commencement ceremonies, and more. The Baltimore Brass is also available for school assemblies and residencies. An additional option is a drummer for concerts and patriotic events. 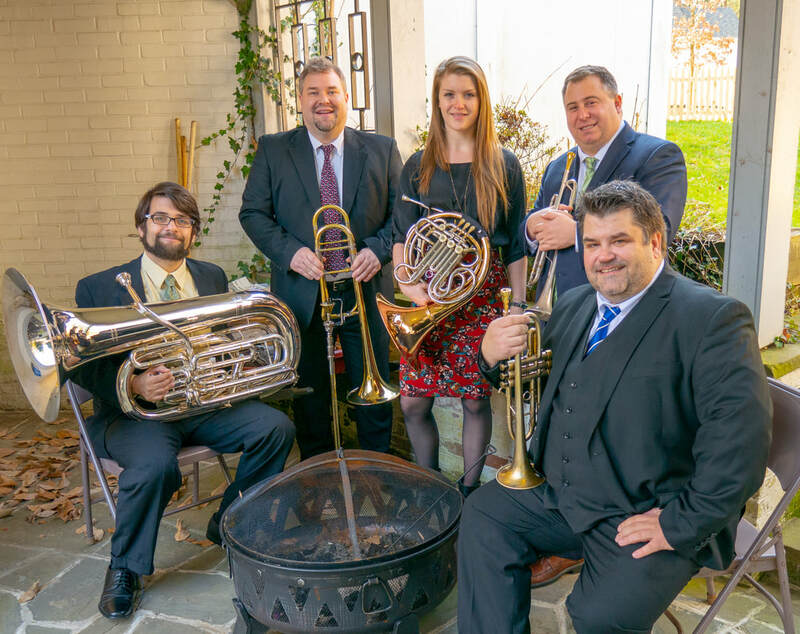 A Maryland Entertainment exclusive artist, the Baltimore Brass was founded nearly two decades ago by graduates of the Peabody Conservatory over a few beers in a dimly lit below-ground stone-cellar known as Brewer’s Art, locally famous for their own superb craft beer. Since then, the ensemble has taken many twists and turns to grow into the high-caliber yet musically diverse ensemble today. Some people recognize them as a refined chamber ensemble and others recognize them as a fierce brass band supplemented with saxophones and percussionists. No matter their shape or form, the Baltimore Brass is always at the top of their game entertaining audiences young and young at heart. Royal Fanfares Fit For a King! If you're seeking true elegance, the Maryland Herald Trumpets are your first choice for a memorable event. Perfect for weddings, bar and bat mitzvahs, corporate openers, trade shows, or any time you want to add a touch of style and grace to your event, the first-class fanfares and flourishes performed on authentic 31" herald trumpets by the Maryland Herald Trumpets are what you truly need to win the attention and imaginations of everybody in the room.